We all claim to be campfire-starting masters but in reality we can all use a little help getting a robust campfire started. So we bring in the back ups. 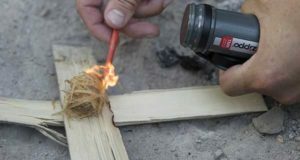 These easy to use fire starters work fast, are small (you can sneak it in), and allow for a fire to spark every time. 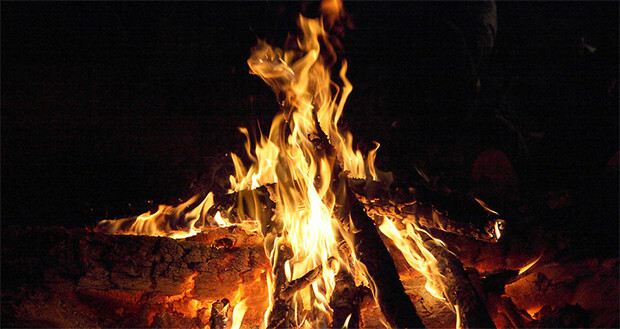 We all know sitting around the campfire is the best part of camping – so don’t be the person that can’t get a fire going! 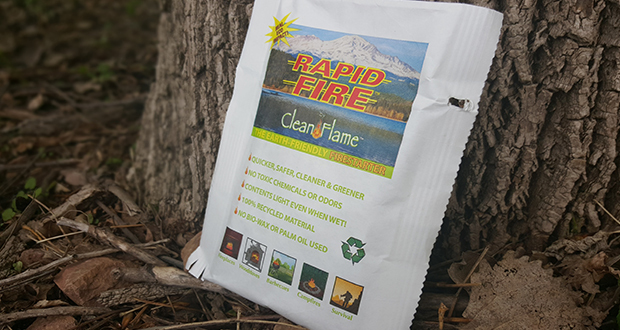 The Clean Flame Rapid Fire fire starter is made from 100% recycled materials with no bio-wax or palm oil used. To use, you actually light the bag itself to get an initial flame going, thus igniting the rest of the bag and the contents. It weights in at just 1oz. making it extremely packable and portable. All the materials are recycled and no chemicals are added. Thus, it is safe to cook over and with no funny chemical odor. InstaFire Charcoal Starter is a great way to get a charcoal grill rolling, fast. 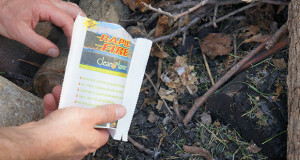 Each pouch, weighing 2.2oz, is capable of lighting up to 75 charcoal briquettes. It also has a long burn time, 10-15 minutes, which is great for charcoal grills that can be difficult to light. 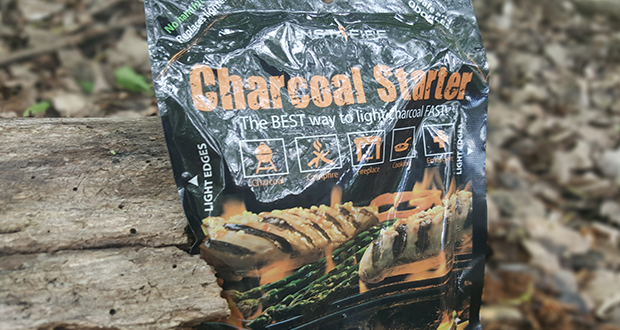 Put away the lighter fluid and harsh chemicals, the InstaFire Charcoal Starter is Benzene free with no harmful chemicals, so its safe to store right with your food. If you like to grill with charcoal, you owe it to yourself to check out InstaFire and give the Charcoal Starter a try. 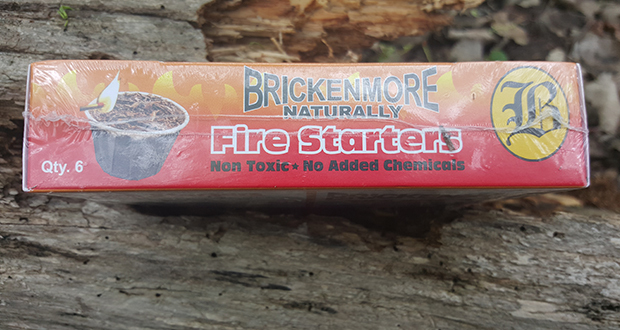 Brickenmore Fire Starters were designed to be your “go-to” fire starter for every situation. 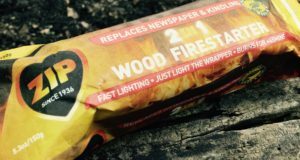 They work fantastic for outdoor cooking and campfires. You can even bring them inside to light a fire in the fireplace or wood stove. They are also about as simple to use as you can get. 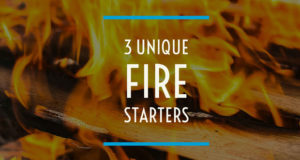 Simply place one fire starter under burnable materials and match light at a couple of spots. It burns for around 10 minutes and does a great job of lighting hard-to-light material. Plus, they are made with no added chemicals. Stop spending time trying to light a stubborn fire. 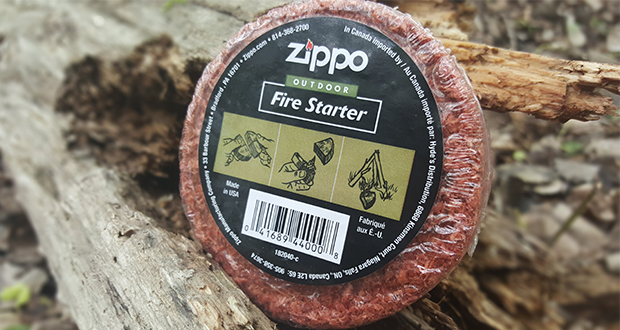 As its name suggests, the Zippo Outdoor Cedar fire starter is made of compressed cedar chips layered with wax. This creates an excellent fire starter that can replace tinder if it is wet or small twigs and branches are at a premium. The wax aids in easy lighting and the compressed cedar burns for a long time (the perfect combination for a tinder replacement). The “puck” nicknamed for its hockey puck shape, is scored into four sections for multiple uses. It’s small enough to be extremely packable yet creates a large enough, sustained flame to easily start a fire.